PNNL's hybrid classical and quantum approach will enable researchers to apply quantum computing to solve problems that are currently intractable on classical computers. RICHLAND, Wash. — On Monday, September 24, the U.S. Department of Energy announced $218 million in funding for dozens of research awards in the field of Quantum Information Science. Nearly $2 million was awarded to DOE's Pacific Northwest National Laboratory for a new quantum computing chemistry project. "This award will be used to create novel computational chemistry tools to help solve fundamental problems in catalysis, actinide chemistry, and materials science," said principal investigator Karol Kowalski. "By collaborating with the quantum computing experts at Lawrence Berkeley National Laboratory, Oak Ridge National Laboratory, and the University of Michigan, we believe we can help reshape the landscape of computational chemistry." Kowalski's proposal was chosen along with 84 others to further the nation's research in QIS and lay the foundation for the next generation of computing and information processing as well as an array of other innovative technologies. While Kowalski's work will take place over the next three years, computational chemists everywhere will experience a more immediate upgrade to their capabilities in computational chemistry made possible by a new PNNL-Microsoft partnership. 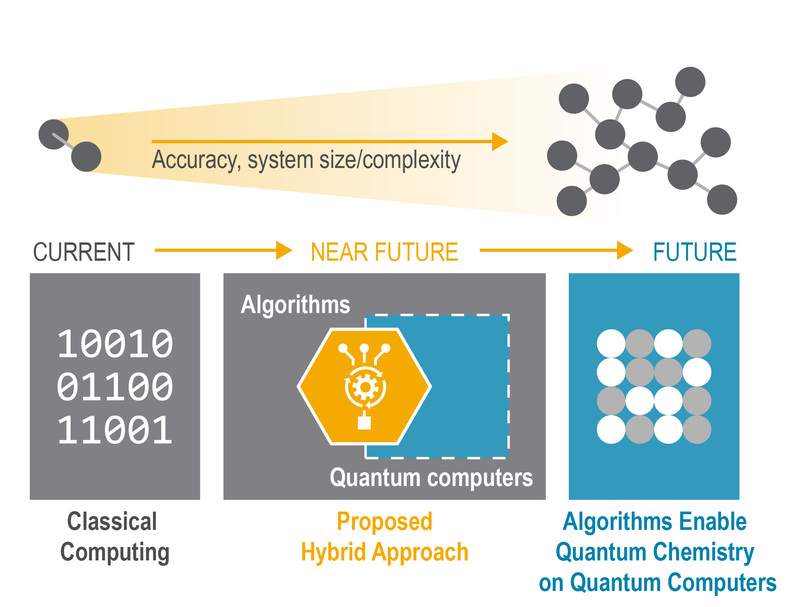 "We are working with Microsoft to combine their quantum computing software stack with our expertise on high-performance computing approaches to quantum chemistry," said Sriram Krishnamoorthy who leads PNNL's side of this collaboration. "Researchers everywhere will be able to tackle chemistry challenges with an accuracy and at a scale we haven't experienced before," said Nathan Baker, director of PNNL's Advanced Computing, Mathematics, and Data Division. Wendy Shaw, the lab's division director for physical sciences, agrees with Baker. "Development and applications of quantum computing to catalysis problems has the ability to revolutionize our ability to predict robust catalysts that mimic features of naturally occurring, high-performing catalysts, like nitrogenase," said Shaw about the application of QIS to her team's work. PNNL's aggressive focus on quantum information science is driven by a research interest in the capability and by national priorities. In September, the White House published the National Strategic Overview for Quantum Information Science and hosted a summit on the topic. Through their efforts, researchers hope to unleash quantum's unprecedented processing power and challenge traditional limits for scaling and performance. In addition to the new DOE funding, PNNL is also pushing work in quantum conversion through internal investments. Researchers are determining which software architectures allow for efficient use of QIS platforms, designing QIS systems for specific technologies, imagining what scientific problems can best be solved using QIS systems, and identifying materials and properties to build quantum systems. The effort is cross-disciplinary; PNNL scientists from its computing, chemistry, physics, and applied mathematics domains are all collaborating on quantum research and pushing to apply their discoveries. "The idea for this internal investment is that PNNL scientists will take that knowledge to build capabilities impacting catalysis, computational chemistry, materials science, and many other areas," said Krishnamoorthy. Krishnamoorthy wants QIS to be among the priorities that researchers think about applying to all of PNNL's mission areas. With continued investment from the DOE and partnerships with industry leaders like Microsoft, that just might happen.